Let’s start this post by writing about the event I was sent an invite for by the nice people of Appetite Magazine. 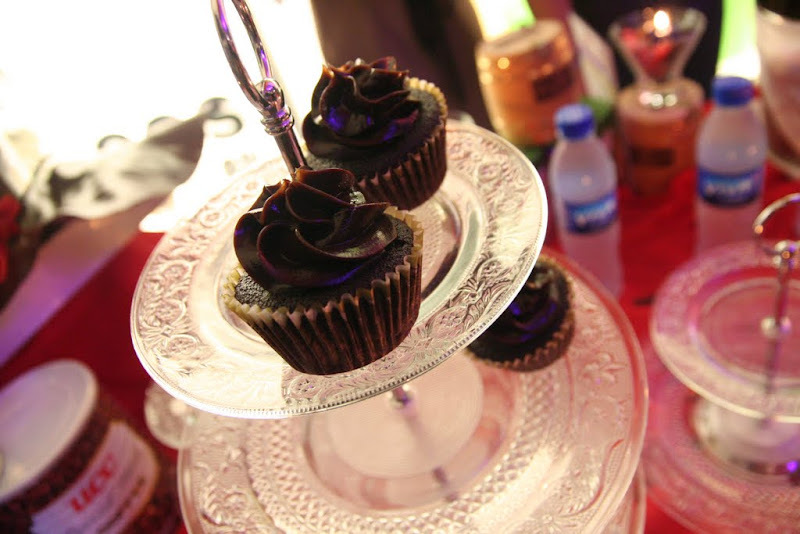 The last UCC cupcakes seen at the event. Held last Thursday at this Eastwood Mall, the event was also celebrating the magazine’s 6th anniversary. Select restaurants around Eastwood City participated, and since this was probably the first food event I was invited to where the organizer’s didn’t transport us out-of-town, I decided to tag Cha along. Mr. Kurosawa’s sushi and sashimi spread! I literally nibbled on whatever food caught my eye, and wished I was totally conscious of the notable picks, and the not-so-notable ones. Interesting enough would be Crisostomo’s Malunggay Pancit Canton, and a great finishing drink was coffee from Zao Vietnamese Bistro. 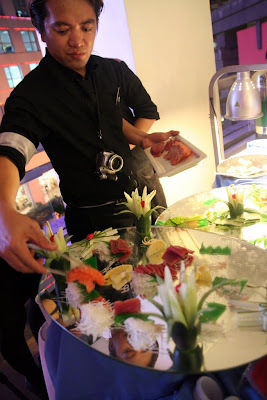 Also, I blame the uninspired food-and-event photography on the doctor’s prescribed diet. There has to be something to blame for. A blogger perk from the just-written event? Privileges from the participating food establishments. Fem, an ex officemate had me and the rest of the workmates gather for breakfast the day after, but I wasn’t in the mood for the infamous breakfast buffet in our area. So, I took out my white envelope of goodies, picked one from the lot, and said: Despite the odd lure of food here and there, I do need to go on a diet, ok? For real. Buffets are a definite no-no. 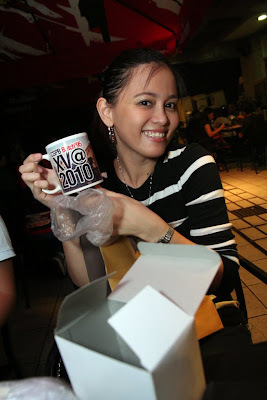 Davao blogger babe Ria Jose spent some time with co-Plurkers one Sunday evening, and since I owe her for backing out from speaking at this year’s Wordcamp Philippines, I should at least make an appearance. So, I did. The appearance was really just that, since Gilbz was hogging the limelight. Grrr. You can listen to an episode of Pakbet Podkasts with Ria here. I sported hair before, better believe it. 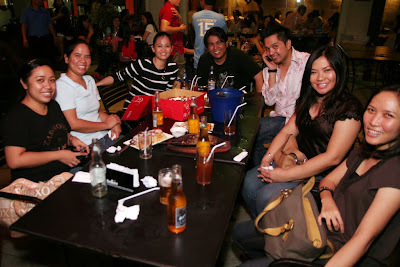 I wasn’t too intent in going to our batch reunion, telling myself small gatherings like this should suffice. Alas, I still I went home with a ticket in the bag. WOW! I have a spot in your blog na. LOL! I want Heaven and Eggs!!! 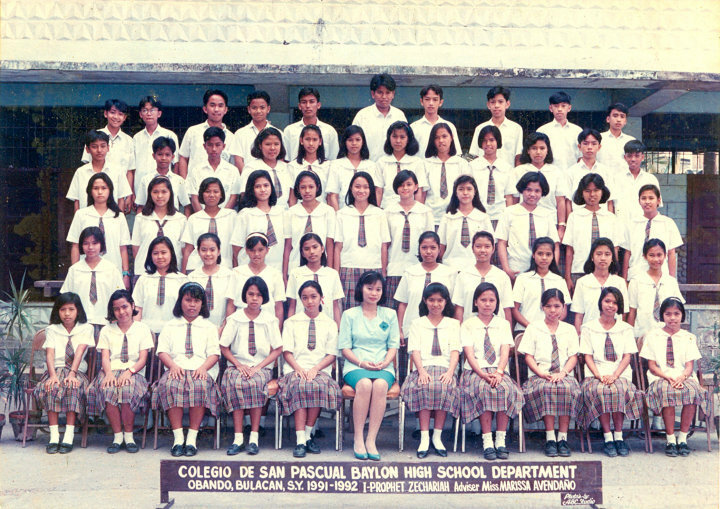 In the class photo, you’re the guy in the last row, third from the left?